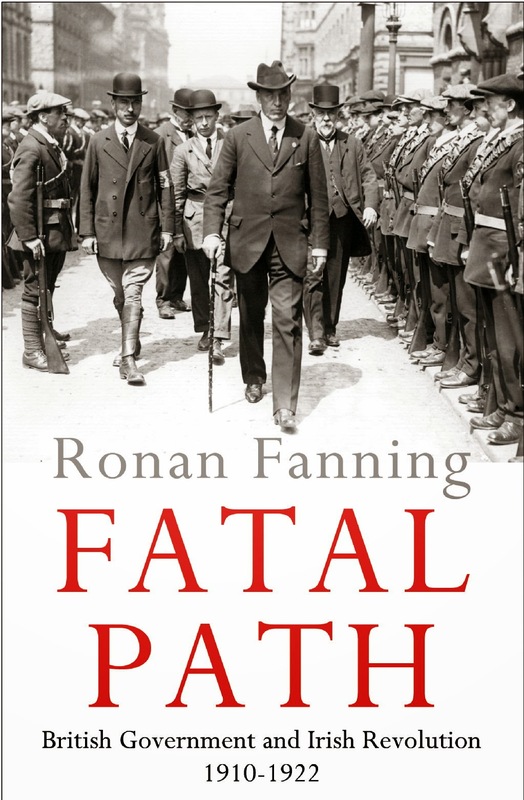 The latest frisson of crime-fiction recognition I got while reading Irish history comes thanks to Ronan Fanning's Fatal Path, specifically its discussion of the controversy and violence that attended establishment of the border between the Irish Free State and Northern Ireland. "As for the Troubles — I wanted to write a non-Troubles book but, around the Border, it would be unrealistic to assume that they're not there somewhere — thus the only representation of the Troubles in Borderlands is the disembodied voice, talking about the past. It's there, but increasingly insubstantial. Or that was my intention, at least." And now I'll take a break and read some crime fiction, though the author shares a last name with an important figure in modern Irish history.